Stanton DJ, an industry leader in the design and manufacturer of professional audio products for DJs, announces the official release of the SCS.3m, the next installment in their award-winning, SC System 3 series controllers. The SCS.3m is a portable new MIDI controller with a unique control surface that emulates the layout of a traditional two channel mixer, but is completely touch-sensitive. HOLLYWOOD, FL – March 31, 2009 – Stanton DJ, an industry leader in the design and manufacturer of professional audio products for DJs, announces the official release of the SCS.3m, the next installment in their award-winning, SC System 3 series controllers. The SCS.3m is a portable new MIDI controller with a unique control surface that emulates the layout of a traditional two channel mixer, but is completely touch-sensitive and features the acclaimed StanTouch® technology introduced in its deck controller counterpart, the Stanton SCS.3d. Each SCS.3m will ship with a new version of Native Instruments&apos; Traktor LE that is based on the latest TRAKTOR PRO software platform, allowing the SC System 3 products to be used together to create a full DJ system with intuitive control over the robust software features introduced with Traktor LE. Using only the SCS.3m, SCS.3d, and Traktor LE, a complete DJ rig with performance control features that surpass the capabilities of traditional mixer/deck equipment can be setup anywhere in the world within minutes. 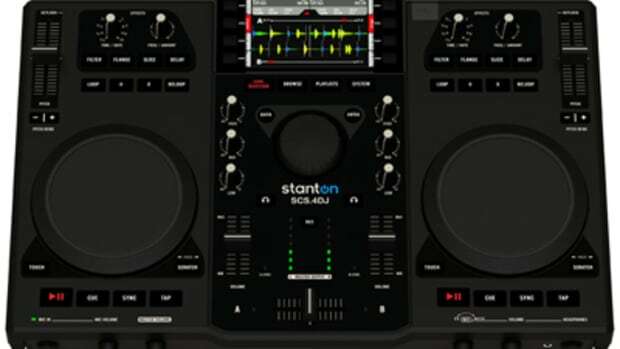 The SCS.3m incorporates all of the functions of a two channel DJ mixer, plus a host of new performance features made possible by Stanton’s unique touch sensitive control surface. The touch sensitive sliders can be used to tweak EQs, allowing DJs to bring in different elements of a song during a mix, or instantly switch the sliders to control FX parameters within Traktor LE. The wide, touch-sensitive crossfader allows for seamless slow blends between decks, but is also able to detect multiple finger presses, allowing for quick transform effects all in one control surface. 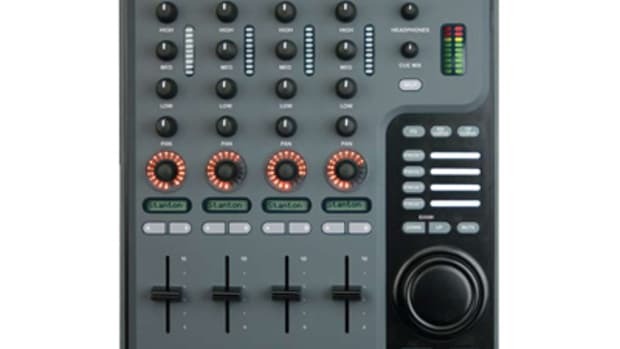 The multicolor buttons can easily perform transport controls for starting and stopping playback, setting loops, doing EQ kills, or engaging effects without requiring a separate trigger controller. All of the visual indicators stay 100% in sync with applications supporting MIDI feedback, allowing for clear indication of the software settings and positions in low light situations. Additionally, the unique surface provides a new level of durability, since there are no moving parts to wear or break. “The SCS.3m is the next step in creating a modular, flexible and scalable control system. It’s always been our vision to make the 3 series a powerful, adaptable, and expandable line of products and the 3m takes the next logical step in providing the mixer analogy to stand next to the 3d”, said Jim Mazur, Stanton’s Director of Product Development. Every SCS.3m comes with the ability to unlock Native Instrument’s award winning Traktor Pro software. One of the first controllers integrating with the new Traktor LE, the SCS.3m is designed to interface seamlessly with Traktor’s internal mixer, and incorporate full application feedback from Traktor, ensuring complete parity between hardware and software. iTunes® integration, album art support, and broad file compatibility allow for unparalleled music collection browsing and management, so finding and organizing tracks is quick and simple. 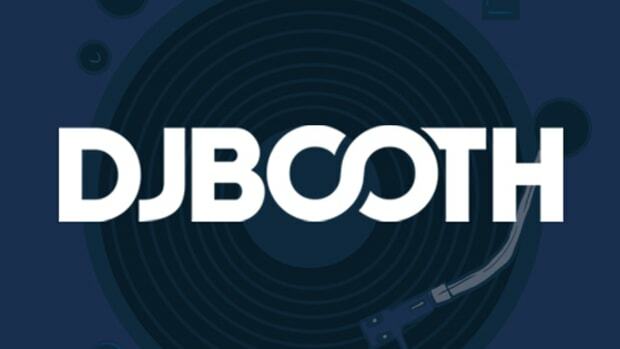 An advanced tempo detection / synchronization engine enables the DJ to sync the decks for an automatic beat match once music has been loaded into the virtual deck eliminating the traditional challenges of lining up two songs for a mix. For the more accomplished DJ, Traktor LE also opens the door to advanced performance techniques such as dropping FX and looping for live remixing. The SCS.3m can be used as a standalone controller for basic software mixing, but when paired with the SCS.3d deck controllers, provide a completely mobile MIDI control rig that allows DJs to plug and play anywhere in the world without the traditional hassles. With a built-in powered USB hub, the SCS.3m can also be connected to one or more SCS.3d controllers, offering up a high tech version of a full traditional DJ setup, without weight, size and connectivity issues. Additionally, special custom presets for other popular DJ applications are available for free download on the Stanton website. The SCS.3m will make its international debut on April 1st at Stanton&apos;s Musikmesse booth in Frankfurt, Germany. The unit is priced at $249 Suggested Retail, and will be available in music and DJ retail locations worldwide in May of 2009. 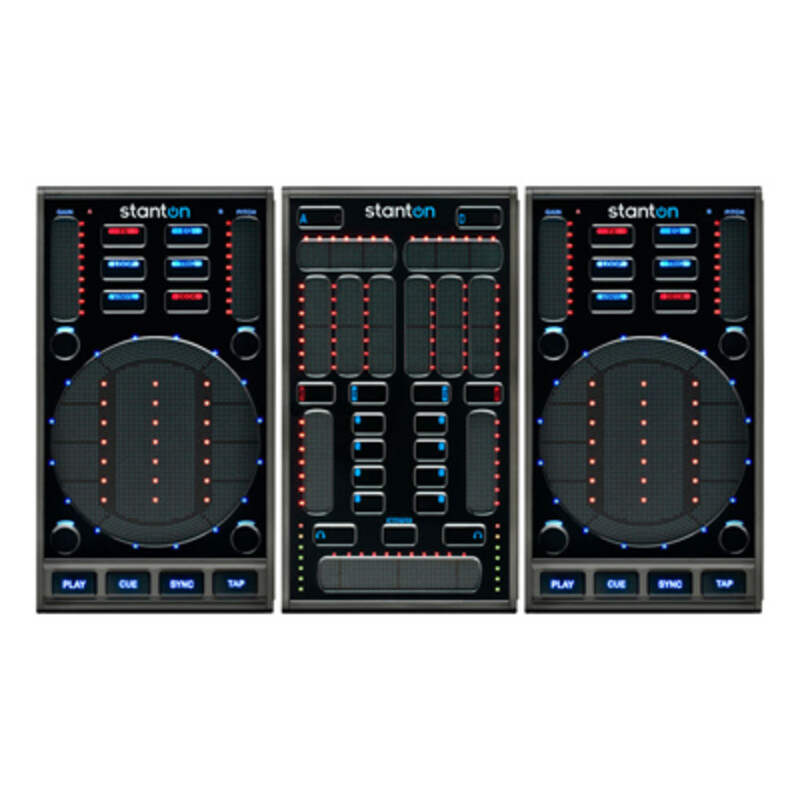 For more information on the SCS.3m, other products in the SC System family, or Stanton’s full line of traditional DJ equipment, please visit www.stantondj.com and www.enterthesystem.com. To request additional information or images of the SCS.3M, please contact PR Representative Breen Halley at (305) 576-1171 x23 breenhalley@maxborgesagency.com. 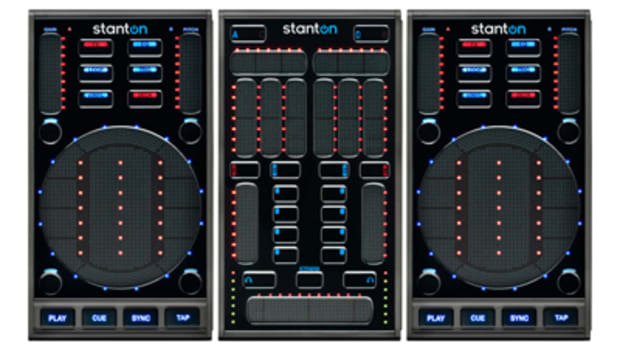 Founded in 1946, Stanton Magnetics is an industry leader in the design and manufacture of professional audio products for DJs, Live Sound Reinforcement and install applications. 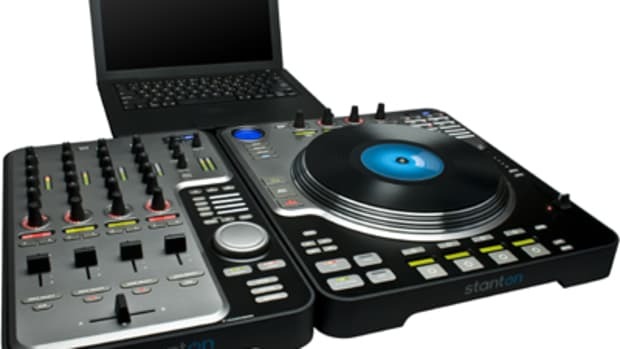 A member of the Stanton Group of companies, Stanton DJ products include turntables, high-performance cartridges, CD players, DJ mixers, accessories, and digital controllers. 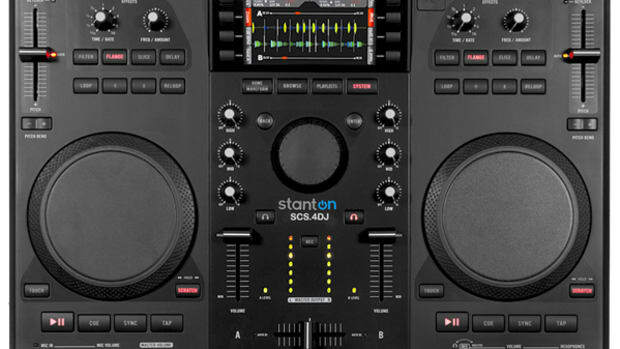 With over 50 years of innovation, Stanton is the name DJs trust. For additional information, visit the company online at www.stantondj.com. For the past few years since the Stanton SCS.1 system has been on the market, I have been receiving countless numbers of requests and inquiries regarding reviews and overall product information on this elusive controller setup. At the time, I was told that there wasn't any units available for review and reports from around the internet spoke of timing issues and an overall unfinished product by Stanton. Today is a brand new day and the Stanton SCS.1 system is now completely updated and one is on its way to me as we speak for a Complete Video Review. Details, Video, and Press Release Inside.